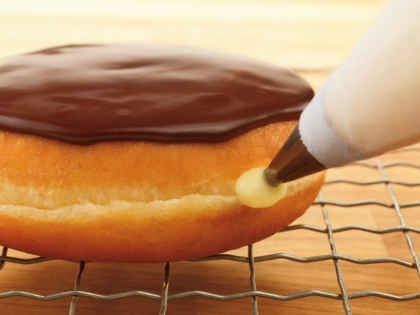 Boston Kreme Fun Facts in Celebration of National Cream-Filled Donut Day! Today, September 14, is National Cream-Filled Donut Day! From Boston Kreme to Bavarian Kreme, Vanilla Kreme, Chocolate Kreme, and more, Dunkin’ Donuts has been delighting guests with delicious cream-filled donuts for decades. In fact, our very own Manager of Donut Excellence, Rick Golden, still remembers when he learned to make Bavarian Crème Donuts by hand in 1976! The Boston Kreme is one of our all-time favorite filleDD donuts. • In 2003, the Boston Kreme became the official donut of the Commonwealth of Massachusetts Senate and House of Representatives. • Despite its local-sounding name, the Boston Kreme donut is very well-traveled! 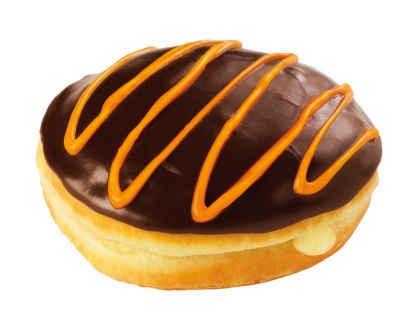 Dunkin’ Donuts sells the Boston Kreme donut in 32 countries worldwide. • Participating Dunkin’ Donuts restaurants have also sold Boston Kreme Munchkins and Boston Kreme Muffins! • Each year for Halloween, the Boston Kreme Donut gets a festive drizzle of orange icing and becomes the Boston Scream Donut. Halloween is just around the corner! Be on the lookout for the spooky Boston Scream Donut. Whether you opt for a Boston Kreme donut or one of Dunkin’ Donuts’ other tempting cream-filled donuts, we hope you’ll join us in celebrating National Cream-Filled Donut Day! Oh, and if you do celebrate, we’d love for you to send pics of your DDelightful cream-filled donuts to us on Facebook and Twitter!